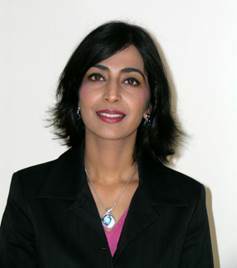 AAF’s very own board director, Ekta Singh, chosen as a 2013 Change Agent by the Council of Urban Professionals! The Council of Urban Professionals (CUP) recently announced Ms. Ekta Singh as one of CUP Catalysts: Change Agents 2013 | Media & Entertainment, leaders across the media, entertainment, advertising, and technology sectors who have achieved extraordinary success in business while simultaneously making a significant impact on their community. Along with fourteen other change agents, this is CUP’s 2nd annual list and forum. The Federation concurs with CUP’s excellent choice in recognizing Ms. Singh for her business acumen and professionalism, and her generous spirit in championing Asian causes in our communities. Ms. Singh is aPartner in the Advisory Services area of Ernst & Young LLP and is serving her third term on the Federation’s Board of Directors. Please join us in congratulating her!